Challenging growing conditions in 2018 left many dairy farms looking at short forage supplies heading into the 2019 growing season. So, what are the options for short-season forages planted in early spring this year? Before we discuss short-season forage options, it should be emphasized that corn silage is the number one choice for an annual forage in terms of overall yield and nutritive value. If forage is needed before corn silage can be ready, acceptable short-season forages for dairy cows include spring oats, spring triticale, spring barley, and Italian ryegrass planted in early spring and harvested at the proper stage of maturity this summer (Table 1). Oats are commonly grown in Ohio and are better than barley adapted to cool wet soils. Forage varieties have been developed and are marketed. Spring barley will usually produce tonnage that is a little lower than oats or triticale and is best established on well-drained soils that are not heavy textured. Barley is the earliest maturing of the small grains planted in the spring. Spring triticale is a cross between wheat and rye and is well-adapted to a range of soils. It has better tolerance to low soil pH than wheat but not as good as rye. Italian ryegrass is usually biennial in longevity, so it can usually produce some forage into the second year, depending on winter conditions. It establishes as quickly as the small grain species and can provide high yields of high-quality forage. It will produce forage ready for harvest in 60 days from seeding and then throughout the first year on about 25 to 30-day intervals. Plant high quality seed of a named variety to avoid unpleasant surprises. For mixtures of small grains, the seeding rate of each component can be reduced to 70% of the full rate. Forage peas can be included in the mixture to increase crude protein content, but peas are generally higher in seed cost. Small grains can be planted about 1.5 inches deep as early in the spring as soil conditions allow. Italian ryegrass should be planted any time after April 1 and by May 1 at no more than 0.5-inch deep. A burn-down application of glyphosate is a cost-effective weed control practice prior to planting. For small grains, nitrogen may be needed at 30 to 50 lb/acre at planting. Manure applications can replace some or all the N fertilizer needed, depending on the amount of readily available N in the manure. When growing Italian ryegrass, additional nitrogen (~50 lb./acre) will be needed after the first or second harvest. When harvested at similar stages of maturity, the nutrient composition of the different small grains is similar, i.e., maturity affects composition more than does species. The nutritional value of small grain forage declines rapidly with increasing maturity. Small grain forage harvested in the pre-boot stage has about 20% crude protein (CP; varies with how much N fertilizer applied), 40% NDF, 30% ADF, and in vitro digestibility of about 80%. Compared to corn silage, small grain forage harvested in the boot stage has energy concentrations similar to corn silage but greater concentrations of CP. Small grain forage (boot stage) has more energy and about the same CP content as high-quality alfalfa. At the milk stage, CP averages 12%, NDF averages 48%, ADF averages 35%, and in vitro digestibility averages 62%. In the milk stage, small grains typically have about 10% less energy than corn silage but 3 – 4 percentage units more CP than corn silage. Compared with alfalfa, milk stage small grain forage has about the same energy content but lower CP. When harvested in the boot stage, dry matter (DM) yields should range between 1.5 and 2.5 tons/acre. When harvested at the milk stage, yields range from 3 to 4 tons/acre. 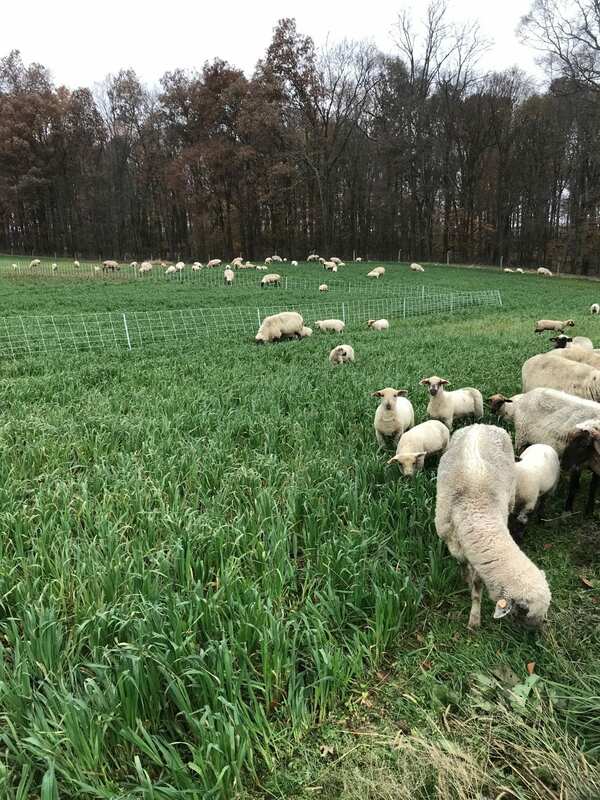 Italian ryegrass trials planted in central Ohio produced yields from 2.5 – 4.6 tons/acre of DM in the first year and from 1.0 – 4.5 tons/acre in the second year. 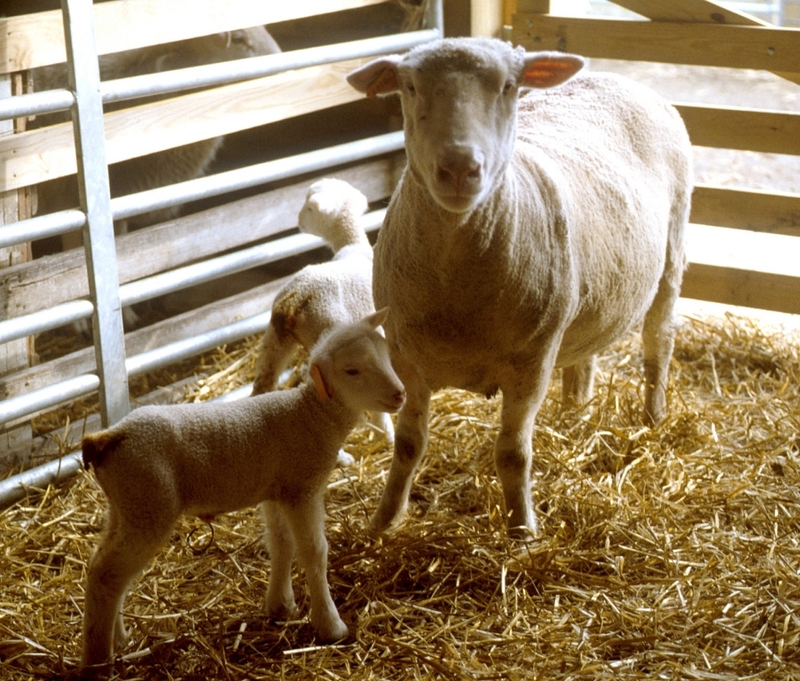 Types known as true Italian types will usually have little to no reproductive growth in the first year and will produce higher quality forage than true annual types. Italian ryegrass generally has NDF concentrations around 50% and CP concentrations between 12 – 16%. Invitro NDF digestibility is high. When fed as the sole forage in a diet, milk production will not be as good compared to cows fed corn silage-based diets, but when it comprised 15 – 20% of diet DM, milk production, milk composition, and feed efficiency was good. It often is very high in potassium so it is important to ensure cows are fed adequate supplemental magnesium. The harvested forage should be tested, and the lab nutritional values used in balancing rations that incorporate these supplemental forages. Stage of maturity at harvesting will greatly affect the yield and forage nutritive value, as mentioned above. Chopping and ensiling or wet wrapping are the best mechanical harvest alternatives for these supplemental forages. Dry baling is especially a challenge for small grains because the small grains dry about half as fast as grass hay. Ryegrasses are also slower to dry than other grasses. When using seed treated with fungicides, observe harvest and grazing restrictions on the label. Grazing can provide an effective and affordable alternative for utilizing the forage. Strip grazing can be an option for dry cows, heifers, [or other types of livestock including cattle, sheep, and goats]. Small grain forages can cause bloat if the growth is young and lush, so feeding high quality grass hay, silage and/or a bloat preventative can provide some protection. Remove lactating dairy animals from small grain pastures two hours before milking to reduce the problem of off-flavored milk. Short-season annual forages can be planted in early spring to produce good yields and high-quality supplemental forage. Proper management in planting, and especially harvest timing and storing, will greatly affect the overall quality of the feed. Small grains harvested in the boot to milk stage stored as silage are acceptable forages for dairy cows. Italian ryegrass harvested 60 days after seeding and on 25 to 30-day intervals thereafter can also produce acceptable forage for dairy cows. Farmers should have the forages tested and balance the diet according to the test results. Yields are typically lower than alfalfa or corn silage. Small grain forage harvested in the boot stage is similar in energy to corn silage and similar in CP to alfalfa. At the milk stage, small grain forage has about 10% less energy than corn silage (similar to alfalfa) and about 4 percentage units more CP than corn silage. Table 1. Guidelines for seeding rates, seeding dates, average yield, and nutritive value ranges for various annual forage silages. Yield and nutritive value ranges are for silage, which vary greatly with maturity stage at harvest. Generally, for hay expect lower CP and higher NDF values. 1Planting date range for Ohio. In southern Ohio, the spring dates should be in the early range, and in the fall, they can be in the later range. 228,000 to 34,000 seeds per acre; seed companies provide hybrid specific planting rates. Posted by Braden Campbell at 8:00am April 2, 2019 Posted in Forages and Pasture and tagged Forages and Pasture, Management. Bookmark the permalink.